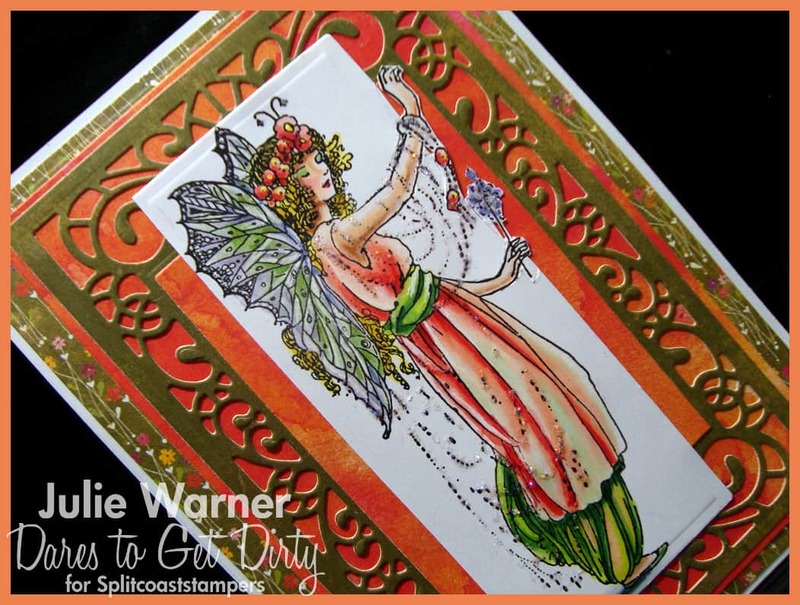 A big congrats to Helen, the newest Featured Stamper (FS495) on Splitcoast! She has such a wonderful, colorful gallery. 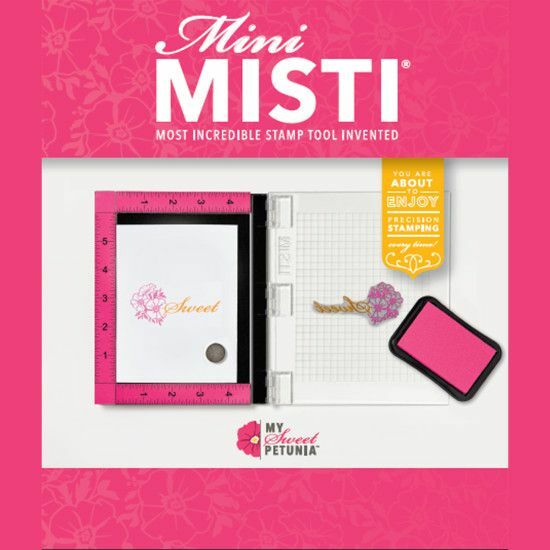 After much browsing, I chose THIS to case because I have the same dies. 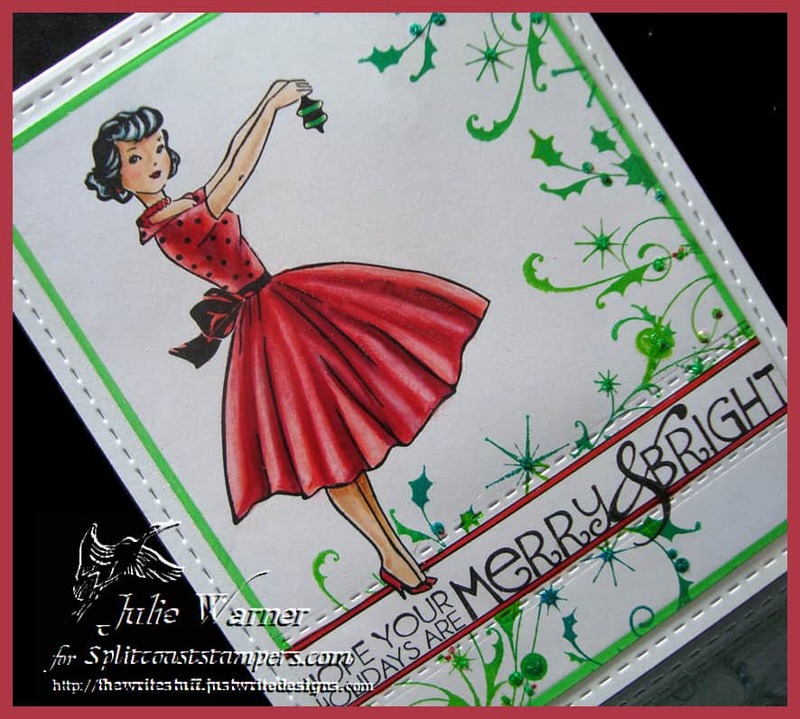 So I kept the Dresden quilt die background & layout, but I used different papers, different colors & made mine a Christmas card. I die cut the quilt 3 times w/ 3 different pieces of paper then put my quilt all together. 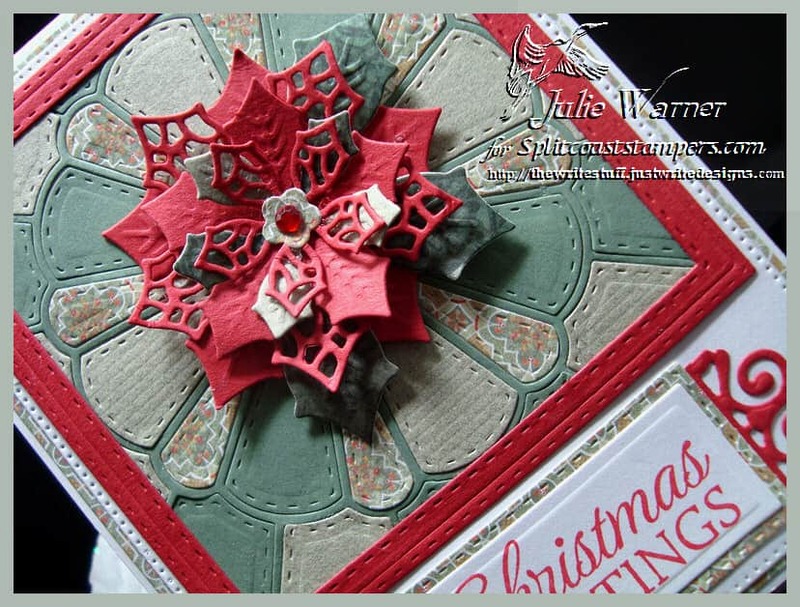 I also die cut the poinsettia layers and attached it in the center of my quilt. 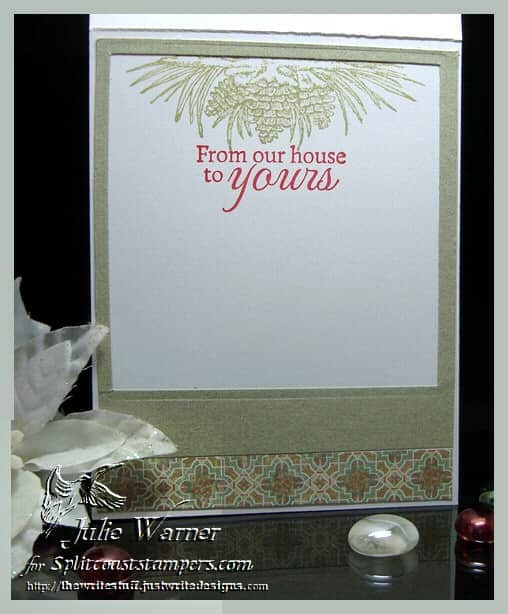 The greeting was added below & I used part of the Filigree Frames to accent the ends. Happy Saturday! I hope y’all are playing in the Dare to Get Dirty Challenges on Splitcoast…starting today, they are going on for a full week!! Lots of challenges, fun & prizes!! Did I mention PRIZES?? 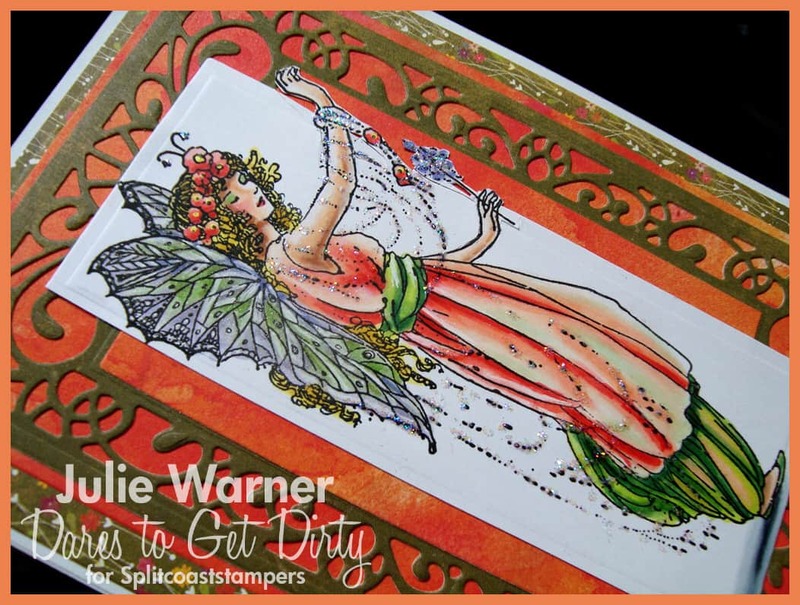 My first card is for Lydia’s challenge…you can get all the details for the challenge HERE, but you’ll need to be a Fan Club Member…it’s super easy! Just click to find out how. 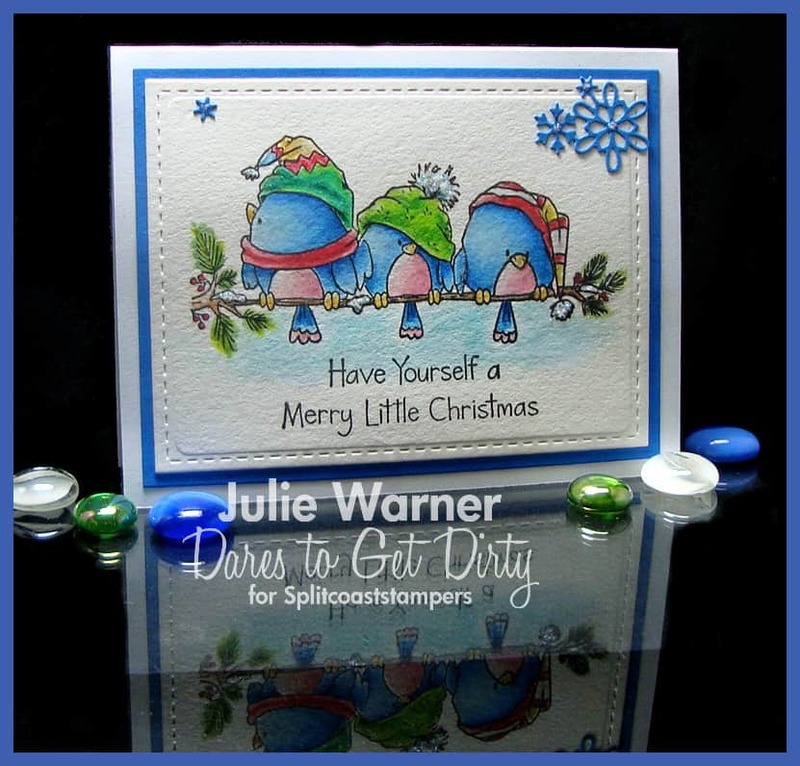 On this birdie Christmas card, I put the cute image into my Misti, stamped it w/ Versafine then colored them w/ water colors. I decided I wanted a little bit smoother blend, so I went over most of the birds & hats w/ Prismacolor pencils. Then I stamped over it again to bring back all the details. 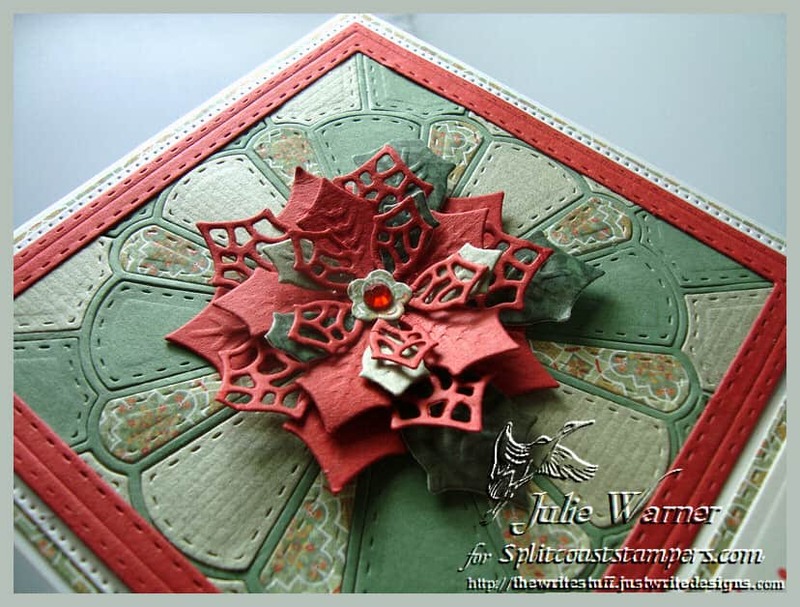 After die cutting, I added a snowflake I snipped from a lager die cut and some stickles for a little sparkle. 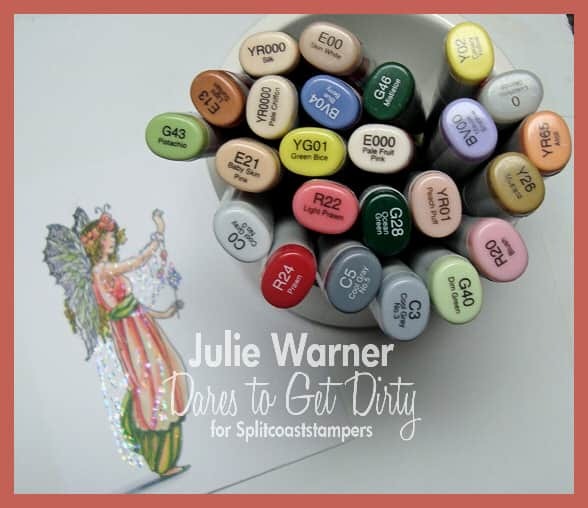 My second card was made for Susie’s DTGD Challenge. This fairy image is so pretty…I wish I knew her name & what company made her. She came to me unmarked & unmounted a really long time ago & I’ve searched, but am unable to find any info on her. 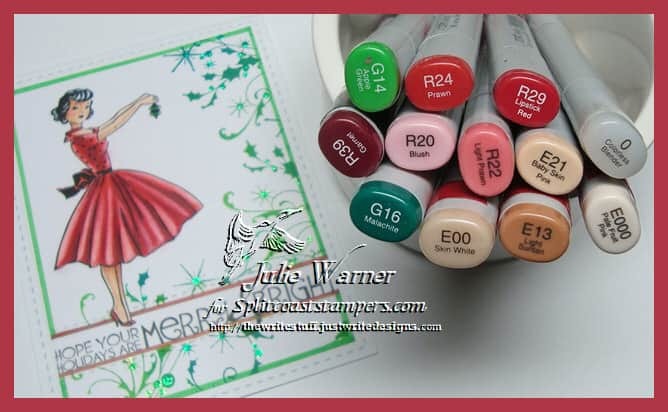 Again, I put the image in my Misti, stamped it w/ Memento, colored her with Copics, then over stamped w/ Versafine. I added some stickles to the draping jewels she’s holding & some Wink of Stella to her wings. I think fairies should have sparkle, don’t you? Here are the Copics I used to color her. 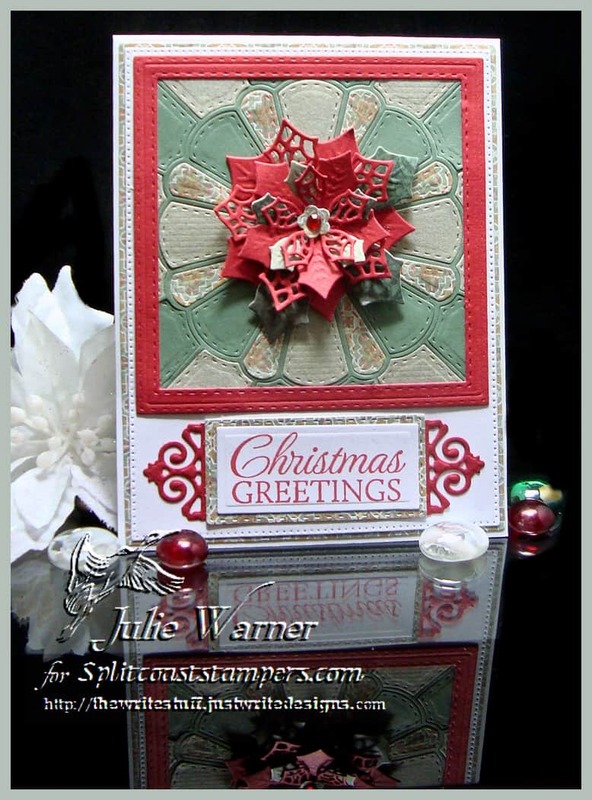 This is for 2 challenges on Splitcoast..Technique (TLC596 – Bordered Sentiment) & Clean & Simple (CAS387 – Christmas). 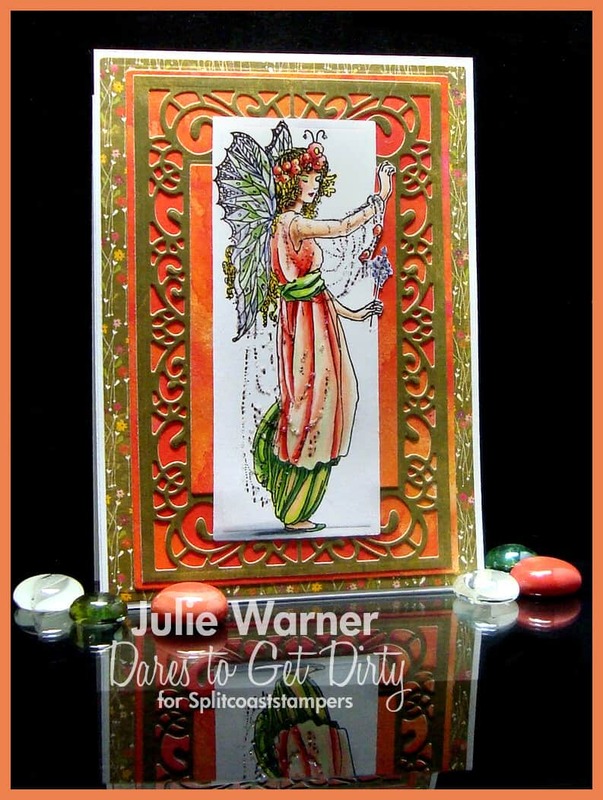 To make my card, I put the lady image into my Misti, stamped her w/ Memento, colored w/ Copics then overstamped w/ Versafine. I stamped the greeting under her then used a mask large enough to cover the greeting & also placed a mask on the lady. 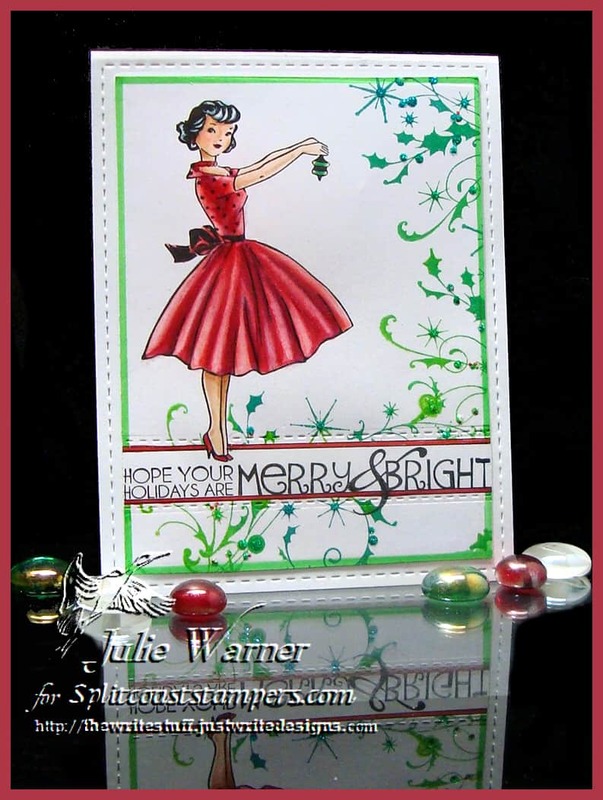 Then I stamped the flourish w/ the greens ink pad & used a ruler to draw the lines around the greeting. After die cutting the panel, I edged it w/ a green marker & used a die that only does 1 stitched line above & below the greeting . A little stickles was added on the flourish.